Australian PM announces plan to erect security barriers in public spaces to guard against vehicular terror attacks. 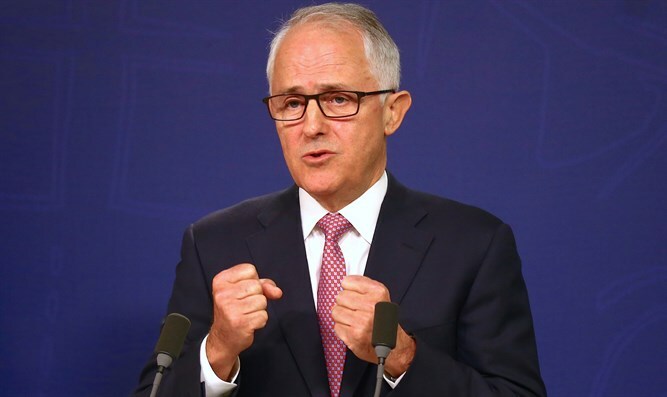 Turnbull said that the plan had initially been conceived after the attack, claimed by ISIS, in Nice last year, when a terrorist rammed a 19-ton lorry into revellers enjoying Bastille Day fireworks on Nice's seafront Promenade des Anglais. At least 85 were killed in that attack, and at least 434 injured. The plan is being implemented now, ostensibly in light of the recent attacks in Spain. In addition, Australia has also reportedly proposed imposing tighter security monitoring at Australian airports by allowing security personnel to ask people present in terminals for identification documents. The proposal comes in the wake of a foiled "Islamist-inspired" terror attack in Sydney last month, when terrorists planned to bring down an airplane with an improvised explosive. Israel has placed concrete slabs at bus stops which siffered deadly ramming attacks or seemed likely to be targets for terrorist ramming attacks..